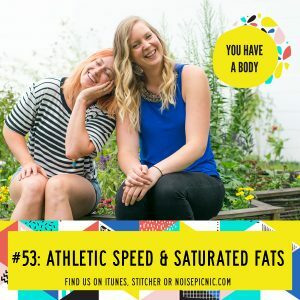 Hannah lays down what exactly makes us quick, speedy and oh-so fast in all our athletic pursuits. Learn how both genetics AND training come into play while you try to get fast! Lucia gives us the 411 on what makes a saturated fat saturated, and how to use it in the kitchen! Like what you’re hearing? Great! Leave us a review in iTunes and we’ll send a personal shout out to you!